← Peter Brannigan on the Lavery Gang and Henrietta St. 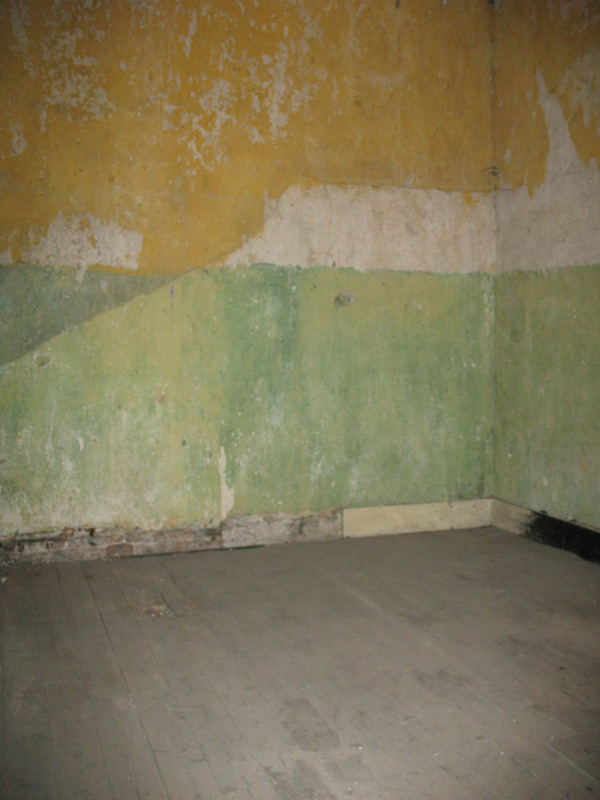 The former stair hall of 14 Henrietta Street where Peter Brannigan lived with his family. Photograph by Charles Duggan, Dublin City Council. In May of 1949 there was both joy and sadness. The joy was that we received notice from Dublin Corporation, that we had been given a new house on the northside of Dublin in Donnycarney. The sadness was in leaving my friends behind. The day of the move arrived, Dad and Mam with some of the younger children, had already gone out to the house that morning. Then with my uncles we hired handcarts from Granby Lane, we loaded our few possessions onto them, and began our journey. Looking back on the journey now, as we passed through Amiens St., North Strand, Fairview, then up the Malahide Rd., up into Donnycarney, I am reminded of the Jewish families when they made the journey to the new State of Isreal. It was often referred to as the “Exodus”. As we left the decaying tenements of Dublin’s inner City we made our own exodus to a new life. On entering the estate I notice that all the roads began with ‘Clan’, for example Clancarthy, Clanree, Clanmaurice, our Road was Clandonagh and our house was number 37. Our family was only the second of two families on the road, all the rest of our neighbours had yet to move in. On seeing the house for the first time I was amazed to see we had two small gardens to the front but to the rear the garden was as big as the Phoenix Park … or so I thought. Coming from a one room tenement to a five room house left us astonished. Myself and my younger brother Tony took great delight in running up and down the stairs, in and out of the rooms. We were flicking on the light switch and watching the light come on – we hadn’t seen this before! The room we had in town was lit by a gas globe or candle light. Today was a very exciting day a new beginning. Although Mam got great help around the house from my sisters Bridget (known as Connie) Molly, and Anne, it was about this time that I began to lose a lot of time out of school. I was about eleven years old at this time. Mam would keep me home from school , mainly to run errands for her, an example of this would be do the shopping, go to the pawn shop, deal with the local money lenders and the Jew man. I practically missed the last three years of school. Then one day Mam received a summons to bring me before Justice McCarthy at the Children’s Court, Dublin Castle, to explain why I was missing so much schooling. I got very frightened at this news, especially when I told some of my friends. They began to tell me that Justice McCarthy was very hard, and I was likely to find myself being sent to a reform school like Artane or worse Daingan, where boys were beaten every day by the Christian Brothers. I began to feel terrified by what they saying to me. However on the day, we arrived we made our way to the court room, there was no one else there. We were brought into the room by a court usher. It was a small room, and in the middle there was a large well-polished table and sitting behind it was Justice McCarthy. There was a chair in front of the table and another one to the side, I was asked to sit on the one facing the judge, and my Mother to the one at the side. My Mother was closer to the judge than I was. The judge in a firm but soft voice explained to my Mother how serious the situation was that I was in, and to explain to him the reasons for my long absence from school. He asked if she was aware that I was being denied of a proper education. My Mother explained to the judge the difficult circumstances at home and her need to have someone their all the time, to run many errands for her. The judge looked down at his papers for what seemed a very long time and he then looked at me but spoke to my Mother. He told her that he understood because of her very large family, her difficult situation. He then spoke to me and told me that I was a very good boy for helping out. He also realised that I had only six months left before leaving school for good, he asked my Mother to make a promise to him that she would send me back to school for those six Months. A promise she would keep. I did return to school. It was the leaving class. My teacher was a Christian brother, Furlong, and according to my friends he was very nice and not a hard teacher. At first it seemed to be the truth, but I was so far behind in my work, that my teacher became very frustrated and very vexed with me. He began to punish me every day and some of the beatings left their marks on me. I never told anyone about this, but I was sure glad when the six months were up. This entry was posted in Henrietta Street History, Social History, Tenement History and tagged Donnycarney, Dublin Social Housing, Henrietta Street -- Dublin, Irish History, The Children's Court--Dublin. Bookmark the permalink. Never lived in conditions that bad went to school in cabra convent nuns what can I say,loved living in cabra moved to ringsend father from there hated it from day one,but one of my brothers lives there all his family lot different now all have own homes good life.I will be home first week in September four times in four years enjoy it now. Hi I enjoyed reading your article. My name is Lillian Devoy Gallagher and we lived in no. 13 Clandonagh Road. Did you live beside Sophie Smith? Lillian hi. I have just come on for the first time. I know Clandonagh well. and I know I met you long ago. My wife is Marie Crowe and am sure you know her. She sends her best wishes to you. Well done Peter, enjoyed reading and all the memories it brought back. Best wishes to all you family.